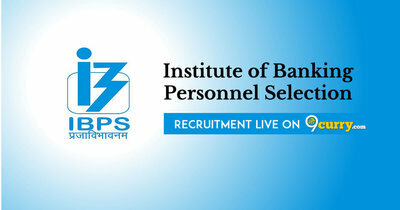 IBPS News / Updates 2019: Here are some of the very important updates and news regarding recruitment drives being conducted by IBPS - IBPS - Institute of Banking Personnel Selection. The recent updated published related to the organization is - CRP for RRBs & PSBs Tentative Calendar 2019. IBPS CRP for RRBs & PSBs Tentative Calendar 2019: IBPS - Institute of Banking Personnel Selection has announced that the Tentative Calendar of CRP for RRBs & PSBs. Selection Process: Based on the performance in the preliminary examination, certain number of candidates will be shortlisted and called for the Main examination. The Main examination will consist of questions only from Professional Knowledge. The marks obtained in the Preliminary examination will not be considered for preparing the final merit list and the marks obtained in the Main Examination will only be considered for short listing for interview.